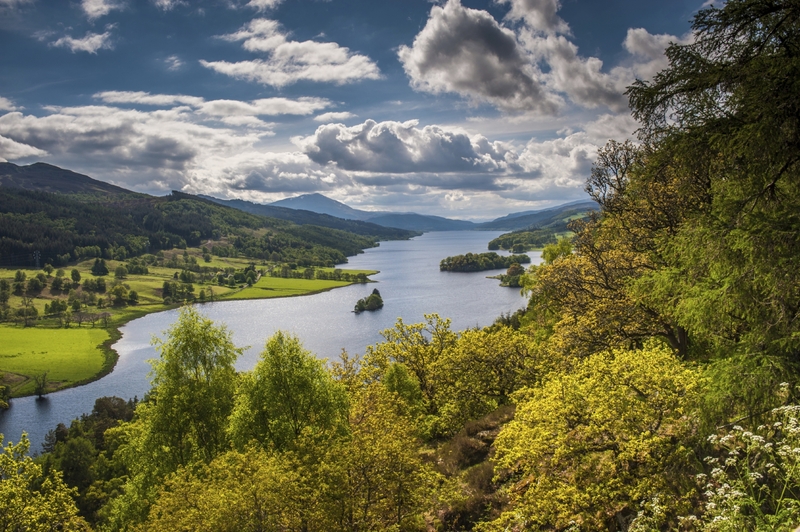 Queens View — is this the kind of attraction that makes Perthshire residents enjoy a superior quality of life. Dundee residents can take solace in having some of the country’s smallest houses by being able to access the internet more readily than anywhere else. A quality of life survey conducted by the Bank of Scotland has revealed houses in Dundee have, on average, the fewest number of habitable rooms in them. And despite what it may feel like in winter months, Dundee has the least amount of rain, with a piddly 804mm (80.4 cm/ 31.6 inches) falling from the sky on Dundee streets each year. Perth and Kinross has been deemed as being the fourth best place to live in Scotland in terms of quality of life, with Angus ranked 10th and Fife 12th. Dundee is regarded as having one of the lowest quality of life rankings of Scotland’s 32 local authority districts, sitting at 29th place on the Bank of Scotland table. The city, along with Glasgow and Aberdeen, has an average of 4.3 habitable rooms – defined as a bedroom, office or living room, but not rooms such as bathroom or utility room – per house. An average of 4.6 habitable rooms appears to be the norm across Scotland, with the large houses of East Renfrewshire and the Western Isles having an average of 4.9 habitable rooms each. The average amount of rain which drenches Scotland each year amounts to 1,311 mm (131.1cm or 51.6 inches), more than 440 mm (44 cm or 17.3 inches) than the UK average. Despite the lack of rain, Aberdeen is still regarded as Scotland’s sunniest city even though over a 25 year period (1975 – 2000) Dundee recorded the most average hours of sunshine each year – according to Dundee City Council. Perth and Kinross has the highest number of health and fitness clubs per person, with 2.7 clubs per 10,000 people, steps ahead of the Scottish average which sits at 1.2 clubs per 10,000 people. Almost every household in Dundee is capable of receiving 5mbps (mega-bytes-per-second) broadband, with 99% availability in the city – the highest in Scotland. Overall, Orkney remains the best place to live in terms of quality of life, according to the survey. A low crime rate, high levels of funding for education, low population density and the highest employment rate in the UK has been credited for making the northerly islands one of the most desirable places to live in the country.